Munnar, I believe, is a good tourist spot for different people who may have a variety of interests. 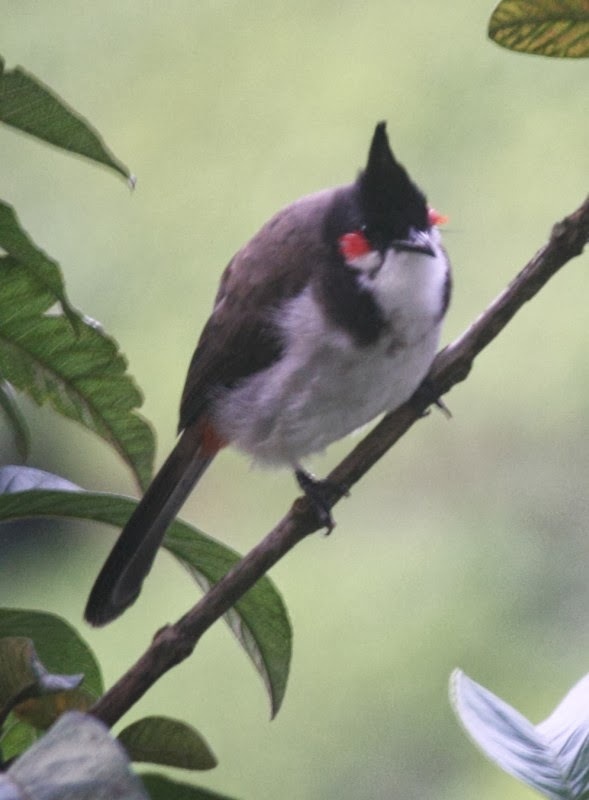 Bird watcher, Trekker, Lover of nature, Sight-seeing, Vacation away from buzz, Getaway from heat of Southern plateau, Boating in scenic lakes and reservoirs - these are just some of the varied prospects for someone visiting Munnar and its nearby locations. Munnar town itself is quite small. It is located pretty high from the mean sea level on the western ghats, just across the border from Tamilnadu into Kerala. The places to visit are spread in a radius of about 50-70 km around Munnar. It is accessible only by road from nearest city which in turn may be accessible by air, rail or road. 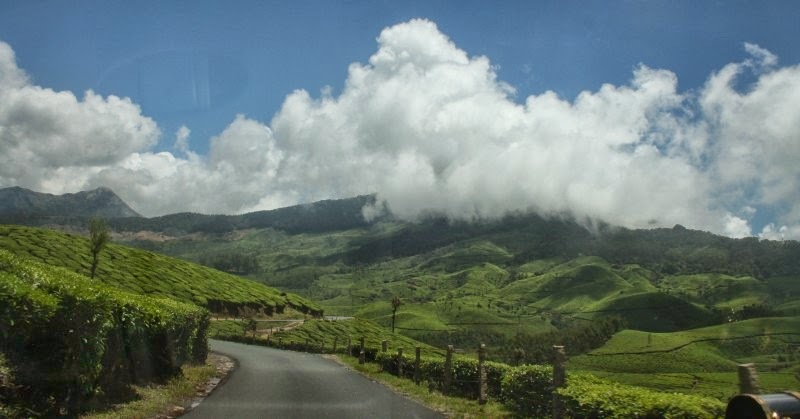 Whichever route one takes to come into Munnar, if we take a relaxed drive in & out, then it would cover about one-third of the places to see and visit around Munnar. That is to say, if one were to be airdropped in Munnar, then one has to spend 3-4 days going on the different trips to cover the various points of interest in the different directions, 1 part of which can be covered during the in-or-out direction of road trip. We chose to take the road from Coimbatore to Munnar and back to Coimbatore. This route has quite a few nice places to stop along the way, which are on the primary to-do lists of most who visit Munnar. The Amaravathy dam in the foothills, between Udumalai (or Udumalapettai) and Chinnar, Chinnar wildlife sanctuary across the border into Kerala, Thoovanam falls view from SH-17 (probably also accessible by trek), Watch tower in the Chinnar wildlife sanctuary, many waterfalls along the SH-17 to Munnar, Sandalwood forest in Marayoor, Lakkom Waterfalls outside Marayur, entrance to Eravikulam National park, grand view of the valley (from the spot view Marayur, the full valley along which we travel in SH-17 and all the way to Udumalai) from about 5500 feet above MSL are those that can be covered in this drive upto Munnar. A non-stop trip by good car would probably take 4 and half hours (180 kilometers). 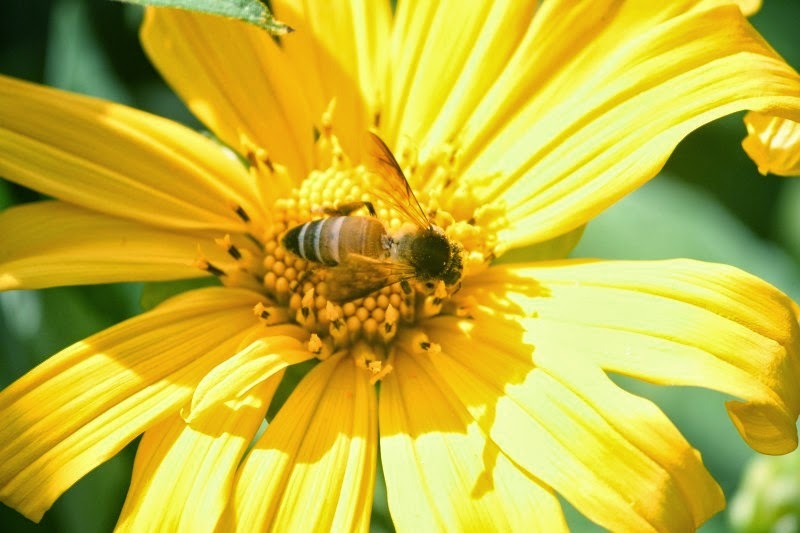 If you take time to stop and relax in the scenic spots, it could take anywhere between 6 and 8 hours. If one were to take the Jeep ride from Eravikulam National Park entrance to higher spots in order to view the Nilgiris Tahr (endangered goat species), it could take a while, especially if there is a long queue of visitors waiting for the jeep trip. We had been booked into Club Mahindra resort, which is about 18 km away from Munnar town on another direction - towards Madurai (through Bodinayaganur, Theni, Madurai). It was important to keep asking for directions and ensuring we were on the right path - if we missed a turn and did not realize, we would be a few kilometers down a path that we had to retrace. 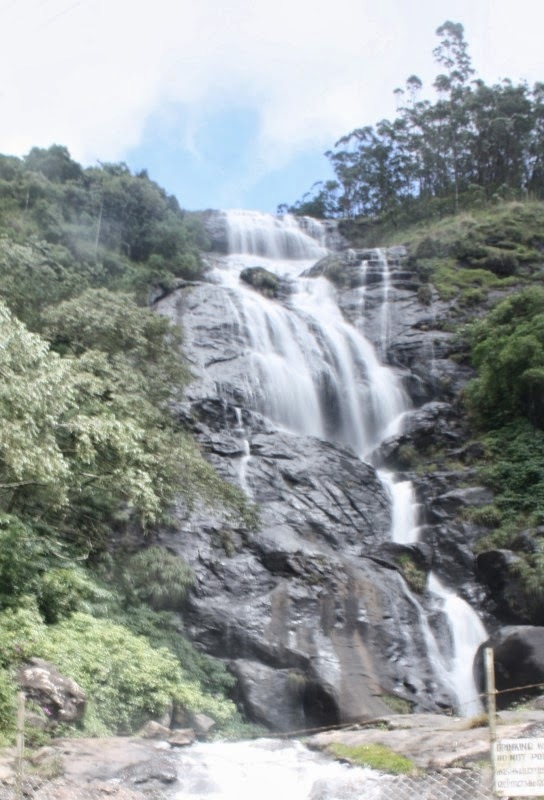 Located in a township called Chinnakaanal, it is quite close to a beautiful road-side waterfall called Periakaanal falls. The resort is located on the side of the mountains from where a jeep trip could take us to Kolukkumalai tea estates (we did not take this one), one of the scenic spots high up in the mountains overlooking the valley and the route to Tamilnadu. The beautiful view of the tea plantations and the reservoir formed due to the Anaiyirankal dam (quite close to the Munnar-Madurai road) can leave us wanting to just pull a chair and relax for hours. One set of places of interest are along the road from Munnar to Top Station (2nd highest view point in Tamilnadu, as per local literature). The Mattupatty dam, Flower Garden, motor boating point, Echo point, pedal-boat and rowing location, upper dam, drive through some farm lands and leading finally tot Top-station, one can take many stops to enjoy the reservoirs, lakes, waterfalls and sceneries. We went on the speed boat trip, which can accomodate upto 5 members. It is a nice and long 15 minute trip covering about half of the Mattupatty reservoir. We made only cursory stops on other points along the way to Top station. At Top station, one has a grand view of the valley that lies to east of Munnar, which also leads to the foothills quite sharply & one can see the plains of Tamilnadu from this point. There is a path that leads to multiple observation decks about 200 metres below the Top Station into the valley - entrance ticket of Rs. 10 is charged. One should be prepared for the climb back up the slope and steps after soaking in the sights of the valleys & mountains. Since, this hill station also involves quite a bit of drives along winding roads, we stopped only at a few points of interest along this route. We wanted to get back in the afternoon to the resort and relax a bit, before enjoying some games at the resort activity centre. On the way back, we decided to stop at the Flower Garden. 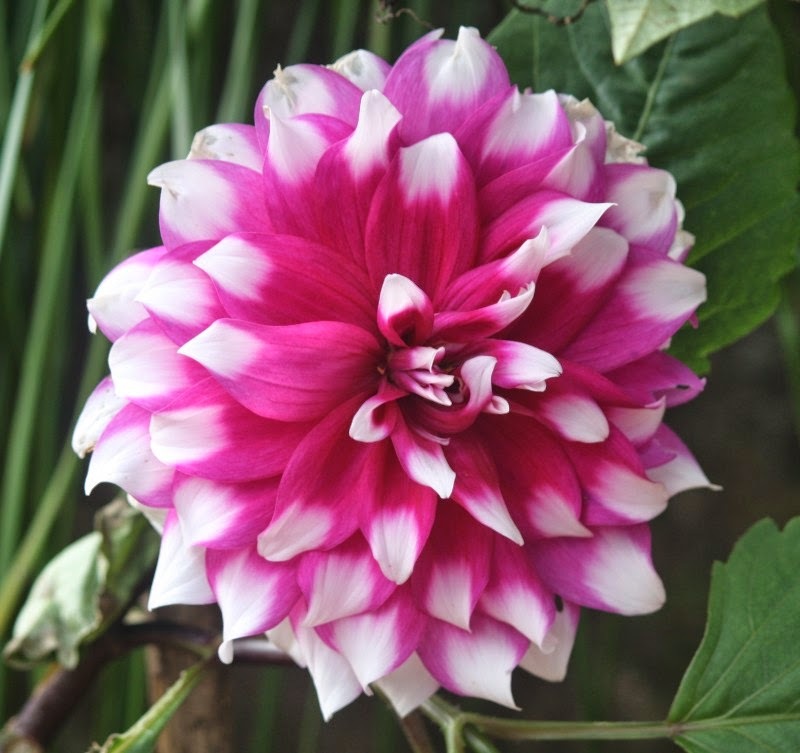 Here, in a small area, there are a variety of flowers and plants maintained for us to look at, in leisure and enjoy nature's gifts for the eyes. On second day, we decided to take in only one trip to the Anaiyirankal dam and reservoir before relaxing at the resort. We split in the afternoon with the family deciding to learn arts, painting, etc., indoors, while I decided to trek up to the Devikulam lake (as per Google Maps), which is locally identified as Sita-devi lake and Sita-devi falls. 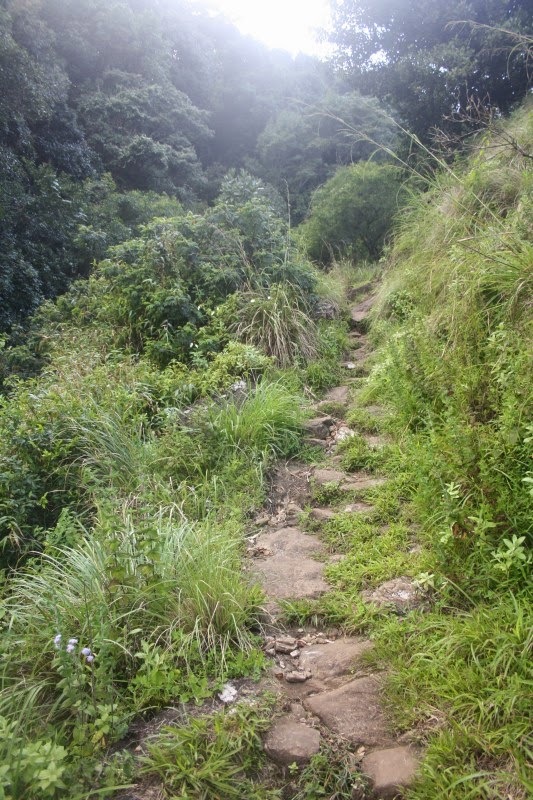 The trek to Sitadevi lake goes along mountainous road for about 1 kilometer upto Kurinji village (having about a dozen houses) after which it is a footpath with some steep climbs through shrubs. 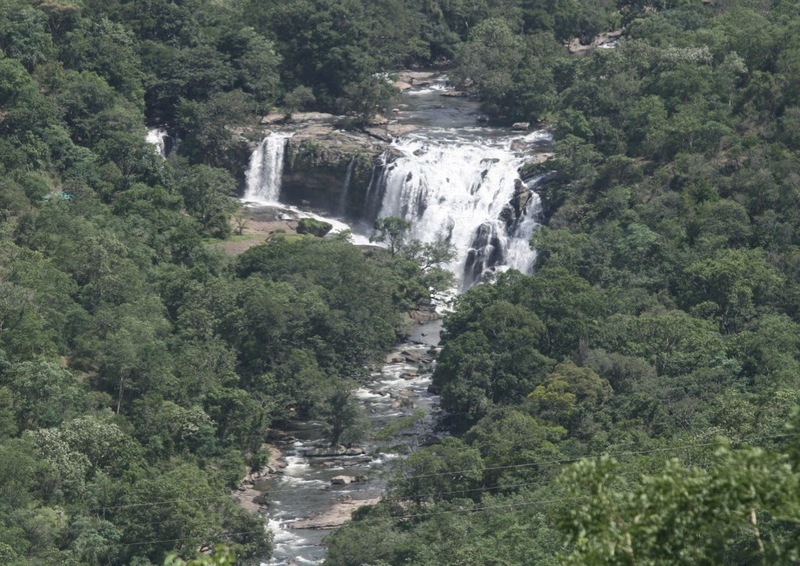 This leads to the small falls which are above the Periakaanal falls (and feeds it), which flows from the Devikulam lake. I took a small wrong turn here and went on about a half-km detour through some tea estates (jeep tracks followed), before realizing and heading back to the falls. From the falls, along the rocks, headed on another steep foot path before locating the serene Devikulam lake. At that time, there was probably not a single soul within 1 km radius. 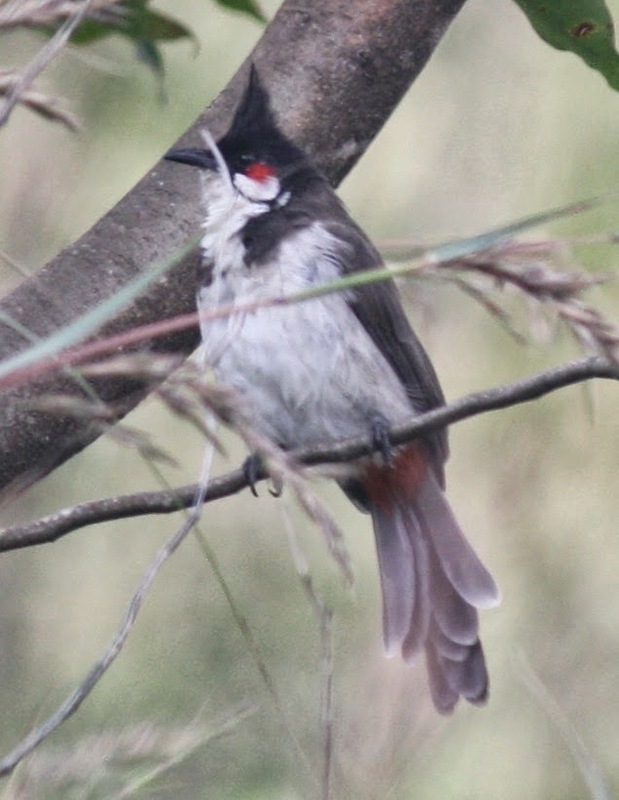 It was a really nice and enjoyable trek through nature alone, with some capture of birds in the evening sun. We were lucky to have clear skies on all the days with just a few dots of clouds kissing the mountains, during our Munnar visit. That added quite a bit of advantage in seeing the places in bright light, good cool weather, distant visibility of valleys, mountains and the plains, etc. The final day was the day of return to Coimbatore by road. 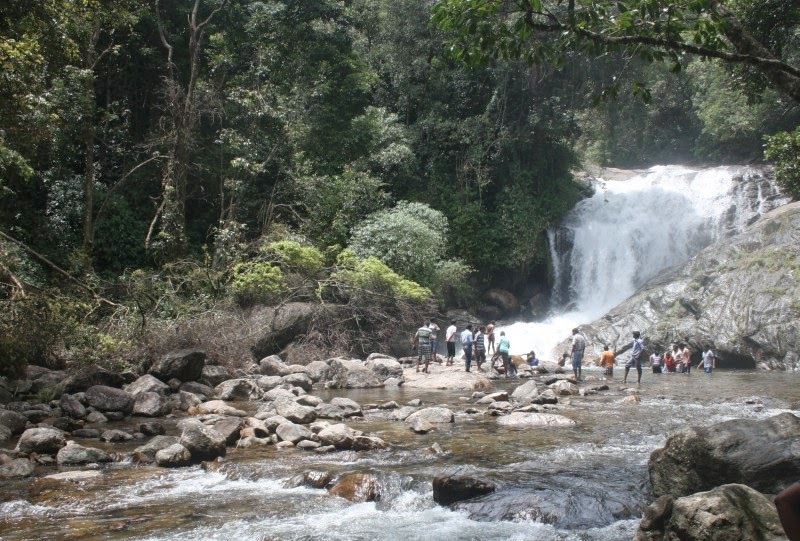 We stopped on a few scenic spots on the way back, especially the various waterfalls including Lakkom falls and Thoovanam falls. These we had skipped on the drive up, because of a bit of tiredness by the time we had reached Marayur from Coimbatore. On both drives we took a bit more than 6 hours due to small stops. Eravikulam National Park was skipped due to the long queues for the jeep ride to the higher altitudes. We had also skipped visits to spice estates and tea plantations, which is another attraction around Munnar. The cool weather, natural mountains and valleys with greenery all around, scenic locations, several reservoirs and lakes, tea estates and plantations, combined with the overall cleanliness, no-plastic policy, etc., make this a beautiful location for a tourist visit as well as a regular vacation spot to recharge our batteries. Thanks for providing such well researched and detailed information about Munnar town. 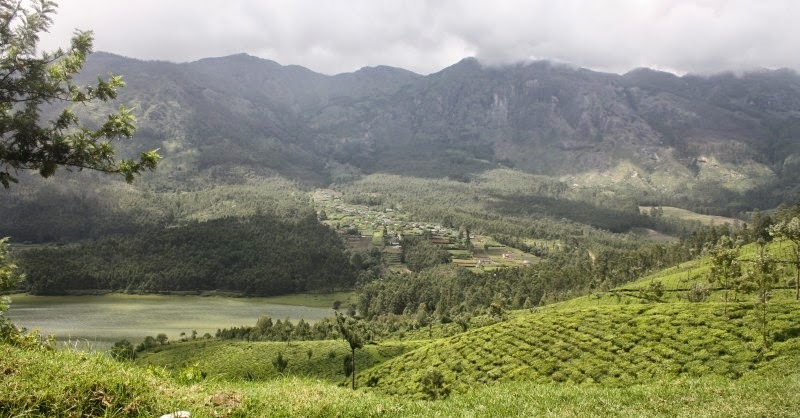 While the tea estates of Munnar also make for one of those essential places to visit in Munnar, even a simple walk along those lush green lanes gives a high.